You could be using too much of your available credit each month — even if you pay your balance in full. You probably realize that a missed or late credit card payment can damage your credit score. And if you make enough small mistakes, you could quickly find yourself in the poor-or-bad credit score range, which could cost you thousands of dollars due to high interest rates. However, you might not know that you aren't doomed to having a low credit score forever. Learn about the easy steps you can take to boost your credit score and get it moving in the right direction. The first thing you should do is make sure all your information is being correctly reported on your credit reports. Simple errors such as the wrong address, an inaccurate number of late payments, or even listed accounts that don't belong to you can cause a huge decrease in your score. 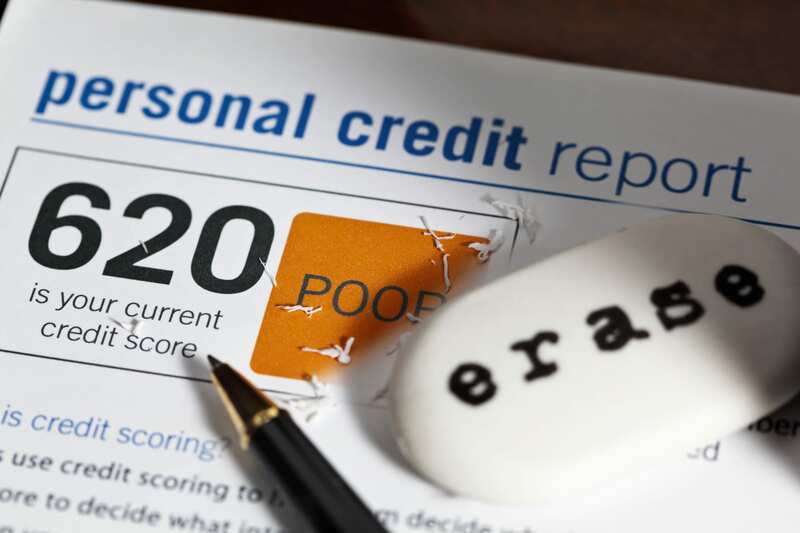 Plus, a study from the Federal Trade Commission showed that "one in five consumers had an error on at least one of their three credit reports," so it's a good idea to carefully check yours at least once a year. One in five consumers have an error on their credit reports, so it's a good idea to carefully check yours at least once a year. If you find errors, dispute them immediately. Most of the time, you can dispute online within minutes. Then make sure the credit bureau corrects and updates the information. Using too much of your available credit can hurt your score, as well. According to FICO, your amounts owed account for 30% of your FICO Score. This means that if your credit cards are maxed out, your credit score could suffer. This also means you can significantly raise your score by paying your balances down. It's recommended that you don't use more than 30% of your available credit, so you can prevent your score from decreasing because of your credit utilization. This step requires asking someone who knows and trusts you — and who has a higher credit limit — to add you as an authorized user on their credit card account. You don't even need to use the account. Just having your name on the account with someone who has good credit can increase your credit score. Once you're put on the account, it's added to your credit report, along with that person's payment history. If you do use the account, keep in mind that if you default, you can end up hurting the other person's credit. So make sure you're responsible and make your payments on time. You might think closing as many accounts as possible will help increase your score, but this can actually hurt your score more than it'll help. The longer your accounts stay open, the older the entry becomes on your report, and the better they are for your score. So even if you have old accounts from college that you don't use anymore, think about charging something small once in a while and paying it off right away. You can also get a small credit score boost if you ask your card issuers for a credit limit increase. If approved, this can up the amount of credit you have available while lowering your credit utilization. It would also work to open a new card account. Just make sure you don't open too many at one time — a bunch of new credit accounts and credit inquiries can be a red flag that may cause your score to go down. It isn't just credit cards that affect your credit score. A healthy mix of credit includes mortgages, personal loans, car loans, and other types of credit, including revolving credit cards. You could get a small credit-score boost by adding a different type of credit to your finances. You could experience a small boost in your score by adding a different type of credit to your finances. However, this doesn't mean you should take out a loan you can't afford to make payments on. Late payments can be the biggest culprits when it comes to low credit scores. The best thing you can do is set up alerts and make your payments on time. However, if you do accidentally get a late payment in there, you might be able to contact your card issuer and see if they'll forgive it, especially if your payments are typically on time. If this isn't a possibility (or if too much time has passed), at least catch up on all your payments. Catching up now will be better for your score than continuing to let your account fall behind month after month. If you're having problems increasing your credit score because you don't have any credit, you might want to consider opening a secured credit card account. This type of card typically requires a security deposit that's held by the card issuer in the event you should default. In exchange, you receive a card with a credit limit that's usually in the amount of your deposit. As you make your payments, the account is reported to the credit bureaus and can increase your score. SEE ALSO: Should You Ever Pay Debt With a Credit Card? Because secured cards are known for higher APRs, you should make sure there's a grace period and pay your balance in full each month to save money. Also, it's important to check with the card company and confirm they report the account to the credit bureaus. Readers, which steps have you taken to improve your credit score? Are there any we missed? Let us know in the comments below! How Does Debt Consolidation Work, Exactly? Christina Majaski is a freelance writer and mom of daughter Chloe and dog Monty in Central Minnesota. 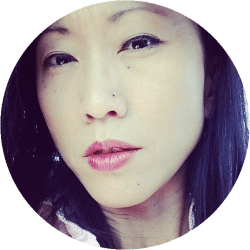 She has covered social media, personal finance, law, business, and travel for various online and print publications since 2003. You can read her work online at Wise Bread, Digital Trends, PayScale, and many others. I never cared about my credit score. I just paid in time and never had any issues. FICO and other scoring engines are just a game. Once you understand some of the rules it's an easy game. I have a friend and I put them on three accounts. I use their card instead of mine to ensure that this shows for them. Additionally we signed up for a Square account, put their 4 cards on for $1 a month auto recurring with the CC card setup for auto payments. So they have cards that show transactions every single month and paid off in full every single month. I had a B of A card with a 7 k limit and used it rarely. And i decided I wanted to use it all the time every day and asked to raise the lim. to 14 k and they lowered it to 1.5 k.
Yeah those who usually need credit shouldn't have credit! I had a Bank of America card with a $15k limit. I used about $8k of it. I never had a single late payment and they just one day lowered my available balance to the $8k that I had. Suddenly my 50% usage was now at 100% usage and my credit dropped about 75 points. Over the 3-4 months, it took to pay it all off. Credit cards own you and they can do whatever they want, whenever they want, don't use them!